Get the basics on Hurricane Katrina here. Navigate this interactive map to see migration patterns to and from each of Louisiana’s parishes (Orleans is in green) in the years following Hurricane Katrina. Take a look at the fascinating Times-Picayune interactive map. Be sure to zoom out (click -/+) to appreciate the migration patterns established by Hurricane Katrina evacuees across the United States. How many households left Orleans Parish the year Hurricane Katrina struck? A staggering 61,613 households (that’s families, not individuals) left Orleans Parish in 2005-2006. Get to know the demographics of Orleans Parish with some Census facts here. Where did most evacuees migrate immediately following the disaster? Why do you think people may have migrated there? More than 11,000 households from Orleans Parish migrated to Harris County, Texas, home of the huge urban area of Houston. Harris County is relatively close to New Orleans (about five hours west), safely out of the storm path of Katrina, and has good infrastructure and emergency services. How many years after Hurricane Katrina hit did Orleans Parish see an increase in households moving to the parish? In 2006-2007, just a year after the storm, more than 16,000 households moved to Orleans Parish, while just over 9,000 left. Why do you think people moved to Orleans Parish so quickly after the disaster? Most households that moved to Orleans Parish were residents returning to their own homes and communities. Resilient New Orleanians are still coping with the aftermath of Hurricane Katrina and the failure of the levee system, but working to create thriving, vibrant new communities. 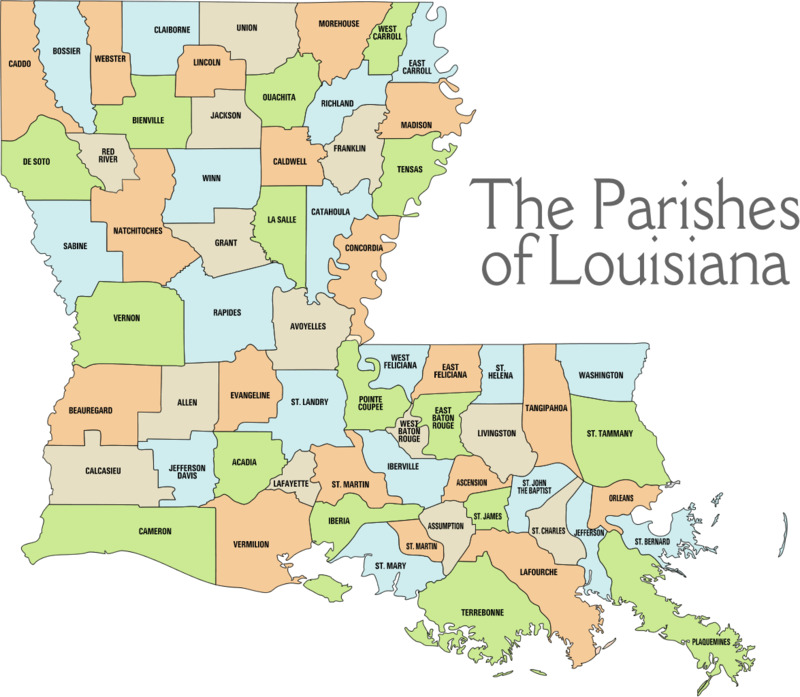 Take a look at this nice map of Louisiana parishes. What other parishes do you think suffered evacuation following Hurricane Katrina? Households in St. Bernard Parish (12,000), Jefferson Parish (8,200), St. Tammany Parish (2,200) and Plaquemines Parish (1,300) all evacuated in 2005-2006. Have any Orleans Parish evacuees settled in your state? Have any residents of your state or county moved to Orleans Parish since 2005? Use the Times-Picayune map to find out! Previous Previous post: What’s a Bear Market, Anyway? And Why Is It Called That?